You hear something scurrying across the kitchen floor. You saw a black bug disappear under the fridge. Oh no! Is it a cockroach? Information on four common cockroaches. General Info: American Roaches are the largest of the common species of cockroaches found near North American homes. Both male and females fly. They like warm, moist areas such as flowerbeds and underneath mulch. They don’t typically nest indoors, but do come inside to scavenge and explore. Residential Location: Can be found in basements, yards, trash cans, wood piles, kitchens, and around pipes where there is moisture. Random/Interesting Fact: They are common in many sewer systems in American cities. Identification: They are oval in shape. They have a reddish-brown color with a yellow figure 8 pattern on the back of the head. 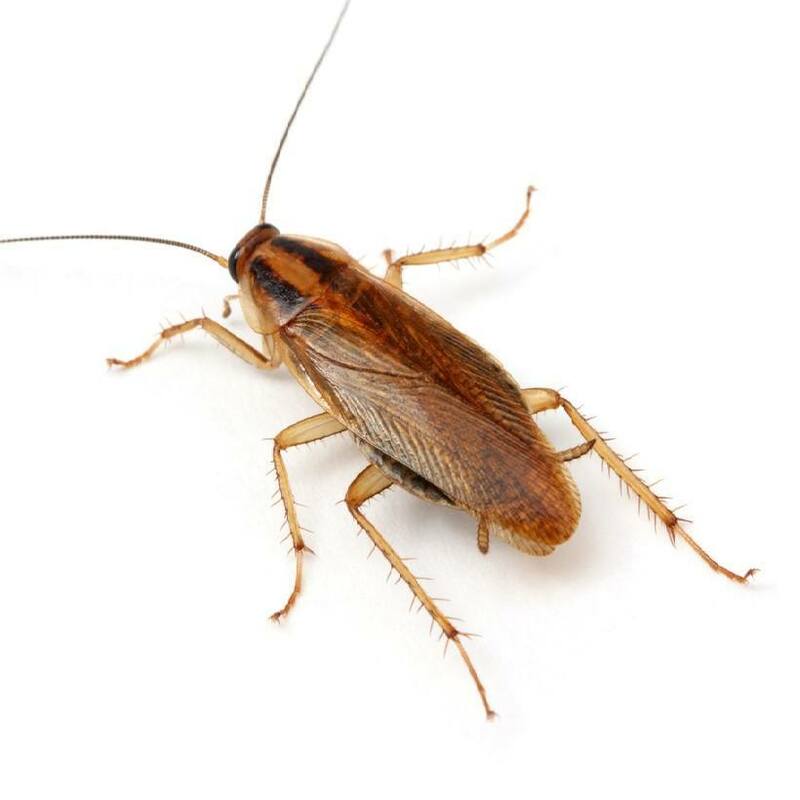 General Info: These are the most common species of roaches. They feed off of virtually anything including soap, glue, toothpaste, crumbs, dog food, other insects and more. 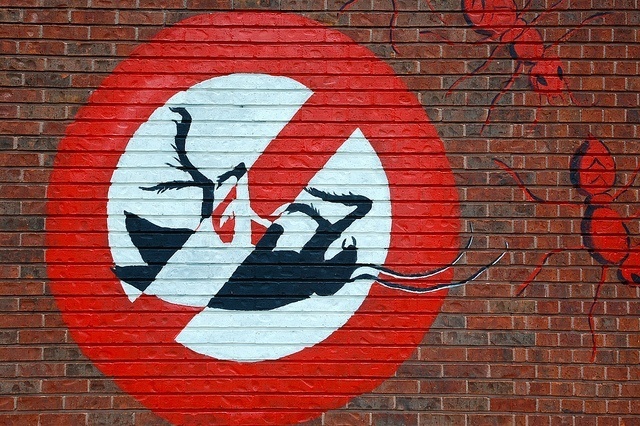 German roaches infest indoors and multiply faster than other species. Although these roaches are nocturnal, they will begin to move around during the day as roach populations over-crowd a structure. Once introduced to a new home, they are near impossible to control without an aggressive treatment from a professional. 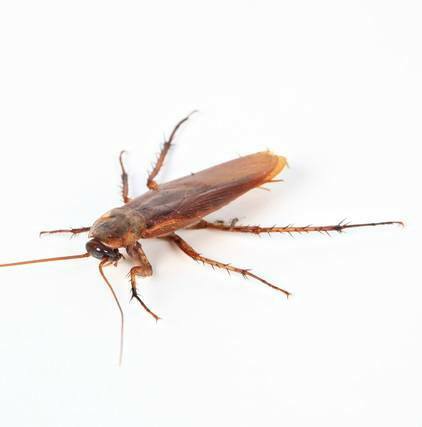 Even if a home is kept very clean, these roaches can thrive. Region Found: German Roaches are found in virtually every climate because they live indoors where a home or building is heated. Residential Location: Will be found near warm and humid places close to food and moisture sources. Examples include kitchens, bathrooms, and basements. Random/Interesting Fact: In an ideal habitat, 2 German Roaches could reproduce to a population close to a million in a little over a year. Identification: German Cockroaches are small with parallel stripes located on the back under the head. Homes and furniture infested with German Roaches will have strong a foul odor. Look for small roaches, egg casings, and small dark spots in kitchens, bathrooms, cabinets, drawers, near appliances, and anywhere else. Although it takes additional time and money, German Roaches can be controlled through an intensive German Roach Control program. 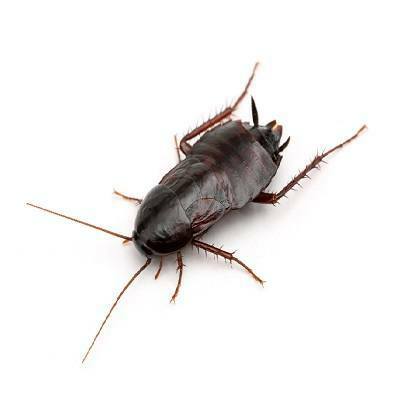 General Info: Oriental cockroaches feed on all kinds of food, especially decaying organic matter and starchy foods. These roaches are rely heavily on water. Residential Location: They can be found around sewers, under debris, leaves, stones and wood piles near the home. They can also be found around utlity pipes through floor drains, basements and crawl spaces. Random/Interesting Fact: They can survive outdoors in freezing temperatures for long periods of time. Identification: They have a shiny redish-black abdomen. 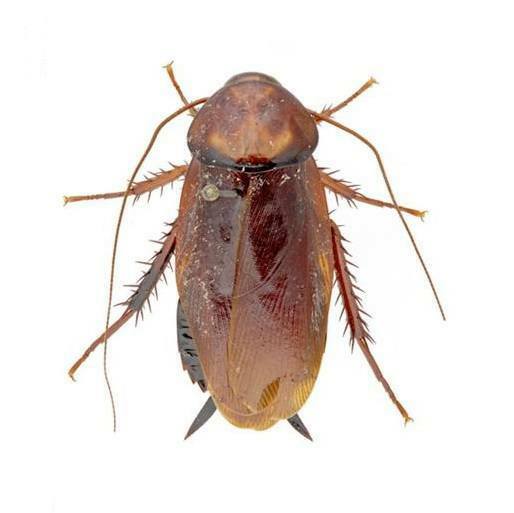 General Info: Smoky Brown Roaches are commonly misidentified as American Roaches. Residential Location: Found around perimeter of homes and buildings, in mulch, trees, trash, and debris. Random/Interesting Fact: Smoky Browns are strong fliers. This roach has shown attraction to alcohol, in particular to beer. Identification: They have a uniformly brownish-black color, roughly the size of an average thumb.